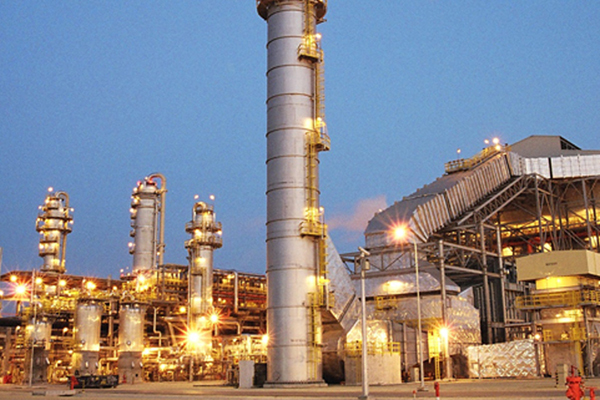 Saudi International Petrochemical Company (Sipchem) and Sahara Petrochemical Company announced today that they have entered into a legally binding agreement for a business merger. Sipchem and Sahara said they propose to implement a business merger of equals by way of Sipchem making a recommended offer to acquire all of the issued shares in Sahara in exchange for the issue of new shares in Sipchem in accordance with the applicable rules and regulations of the Capital Market Authority (CMA). Under the terms of the deal, Sipchem will issue for every one Sahara share 0.8356 new Sipchem shares. Based on the exchange ratio, the total consideration payable by Sipchem to Sahara shareholders will be the issue of 366,666,666 new Sipchem shares. The deal is valued at SR8.25 billion ($2.2 billion) and the merger is expected to create an SR16 billion chemicals company. Both Sipchem and Sahara have the Zamil Group, one of the kingdom’s most prominent family businesses, as a significant shareholder, along with the Saudi Arabian government. Upon completion of the transaction, all of the Sahara shares will be delisted from the Tadawul and Sahara will become a wholly-owned subsidiary of Sipchem. The companies had entered into a non-binding memorandum of understanding on merger on October 3, 2018. Assuming the transaction and the capital increase are approved by Sipchem shareholders at the Sipchem EGA and the transaction is approved by the Sahara Shareholders at the Sahara EGA and that all the other conditions are satisfied (or, where appropriate, waived), Sahara shareholders will hold 50 per cent of the enlarged issued share capital of Sipchem (being the aggregate of the issued share capital of Sipchem as at the date of this firm intention announcement and the new Sipchem shares to be issued to Sahara shareholders), the Sipchem statement said. Sipchem shares, of which 366,666,666 Sipchem shares, representing 50 per cent of Sipchem’s increased share capital, will be held by Sahara shareholders and 366,666,666 Sipchem shares, representing 50 per cent of Sipchem’s increased share capital, will be held by Sipchem shareholders, it said. extensive mutual due diligence and valuation exercise, it added. growth opportunities, both organic and inorganic. The chief executive officer of the combined group will be Engineer Ahmed Al-Ohali, who is currently the CEO of Sipchem. The chief operating officer will be Engineer Saleh Bahamdan, who is currently the CEO of Sahara. The registered office of the combined group shall be located in Riyadh, Saudi Arabia at Al Ma’athar District, King Fahad Branch Road, Cairo Square, Almashariq Tower.